TripAdvisor Business Listings For Life? While at first this may sound like a good thing, be careful what you wish for. Hoteliers really need to know the financial implications of the road ahead. Last week we posted an article about how hotels have been hit with TripAdvisor sticker shock when it came time to renew their Business Listing. They are seeing renewal costs double and triple over what they paid the previous year. Have you budgeted for that? No one knows how much TripAdvisor is planning on raising their costs in the years ahead. However some recent moves seem to be sending a clear signal that they want hotels to be subscribers for life – whether you like it or not. And whether you can afford it or not. Automatic Renewal – With the latest renewal hotels will see a notice that reads, “Your subscription will automatically renew on [EXPIRATION DATE] unless you cancel.” Hopefully the year-over-year increases will be less than it was most recently. But then again, you never know. As a publicly traded company they are beholden to their shareholders which means maximize profits. You Cannot Afford to Drop Out – One of our luxury hotels was so surprised at a recent renewal increase they asked what would happen if it dropped their Business Listing for a year. So we asked TripAdvisor, If the hotel decided to take a hiatus and not renew their Business listing, what would it cost to reinstate it in 2016? Just curious. The answer came back – $50,000! Thinking that perhaps there was some mistake, we asked again. And we received the same response – $50,000. Still concerned there was a mistake we asked a member of management and received the same answer – $50,000. The rationale for such an astronomical sum seems to come from an inside belief that a Business Listing is driving substantial revenue to individual hotels. If a Business Listing sends $250,000 in revenue (by their conversion calculations based on industry norms) then a Business Listing priced at $50,000 is a fair deal. That’s the equivalent of a 5:1 return on investment – about the same cost a hotelier incurs selling through an OTA. Such a deal. So what’s a luxury hotelier to do? Here are a few thoughts. Make sure your automatic renewal gets paid on time – do not let it expire! Keep a valid company credit card on file with an expiration date that is later than your listing’s renewal date. Add an automatic annual reminder in Outlook or whatever calendar program you use. Set it up for several weeks in advance of the renewal date. Have several staff members set up reminders as well just in case the GM or Comptroller are no longer with your hotel a year from now. Increase the money you have in your budget for the next renewal. At least you’ll be prepared with money in the budget. And if you budgeted too much you’ll have a little extra cash to take care of some other eventual overage. If TripAdvisor is moving to price your Business Listing at a 5:1 ROI based on “industry average conversion rates” make sure conversion rates on your website far exceed industry averages. Build a better website that provides the optimum user experience and keeps people on site for as long as possible. And make sure your online booking engine is operating flawlessly. If your conversion rate is double the industry average your hotel will achieve a 10:1 ROI in TripAdvisor. Increase your marketing focus on driving direct business to your hotel. Develop a state-of-the-art integrated Customer Relationship Marketing (iCRM) program. Actively manage your customers’ lifecycle from Awareness through to creating Brand Advocates. It is possible, probably more affordable than you may think and the long-term financial benefits can be immense. Implemented properly iCRM built on a foundation of smart database marketing will help you build a long list of loyal guests. And research shows that companies with the most loyal customers are the most profitable. Now, isn’t creating maximum profitability what it’s all about? Hopefully that time is a long time off. 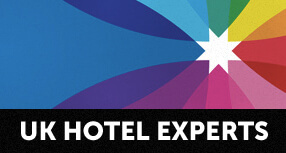 If you have thoughts on the subject to share with hoteliers and readers, please add a comment. PS – Your January TripAdvisor Business Listing Report should have arrived in your inbox yester day. Do your income estimates match theirs?